For those of you who prefer to see each screenshot individually, the /Screencast SlashTag should be pretty interesting. The cyn.in DAM features dynamic resizing of pictures - click the filename to see it in action. More interesting, of course, is the Slideshow widget demonstration on cyn.in, which showcases the very same pictures from the /Screencast SlashTag live on the cyn.in site. I like looking at the pictures in our Dashboard gallery. Now there’s something that you’ve been missing. 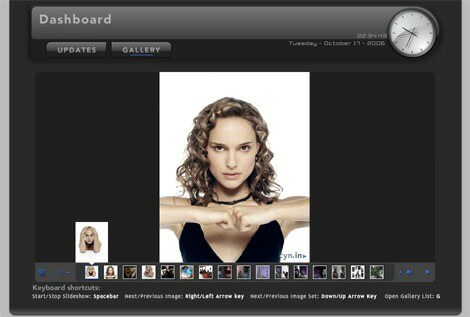 You can upload any kind of picture into a note and it’ll show up in your Dashboard gallery automatically. If you publish it on the Intranet or Web Space or even share it with someone, it’ll show up on their respective Dashboards too.